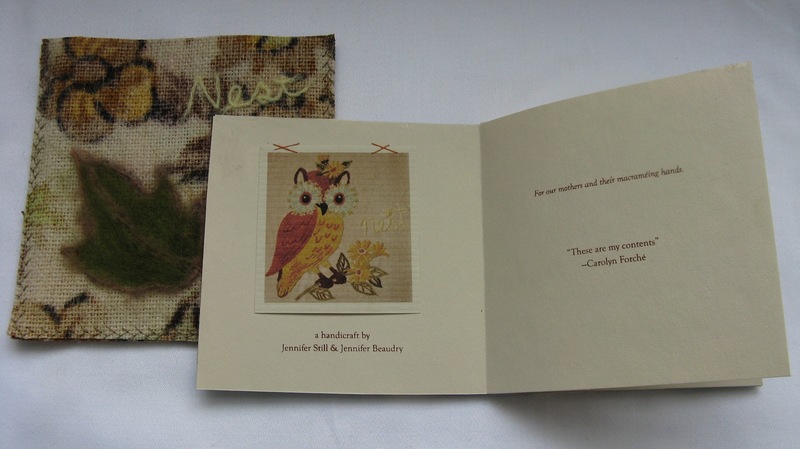 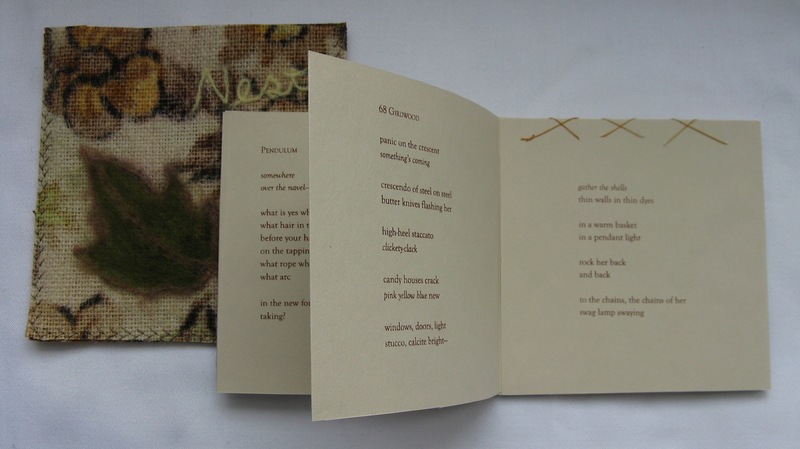 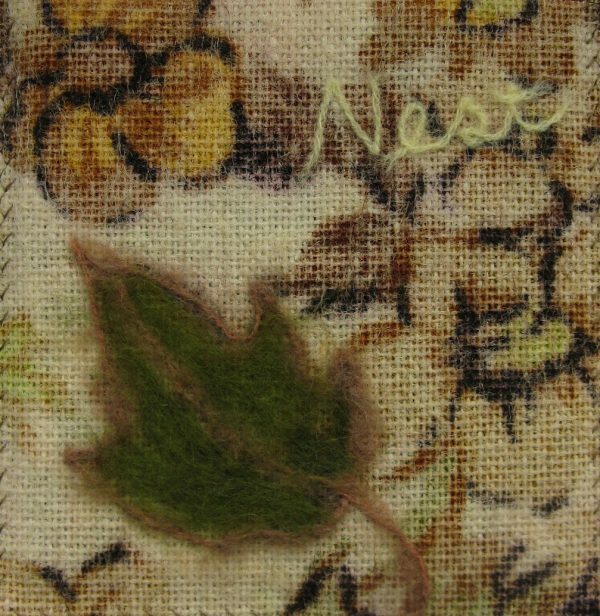 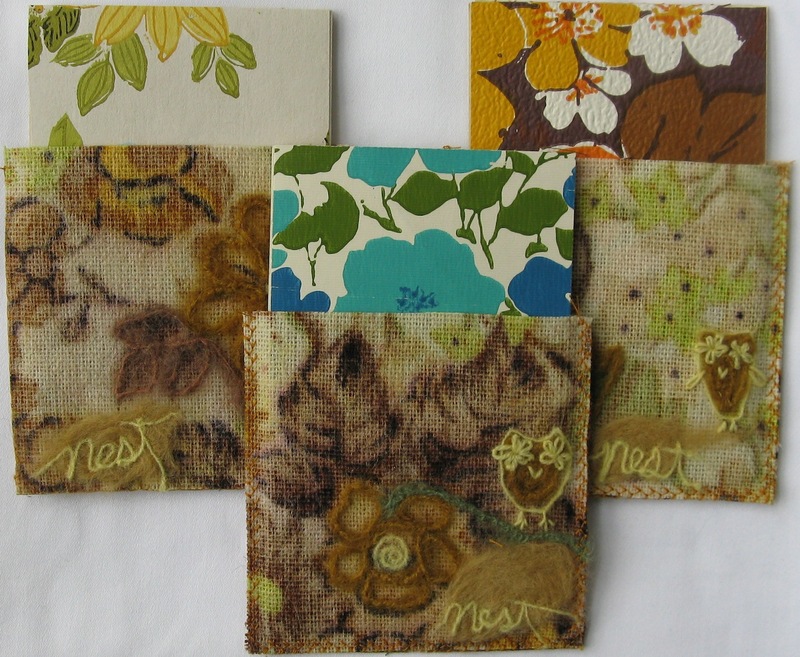 A macramé of belongings, a cross-stitch of 1970s domesticity, the poems and images of nest consider the tightly woven interiors of material and maternal attachments. As an object, nest is an assemblage of domestic restlessness. 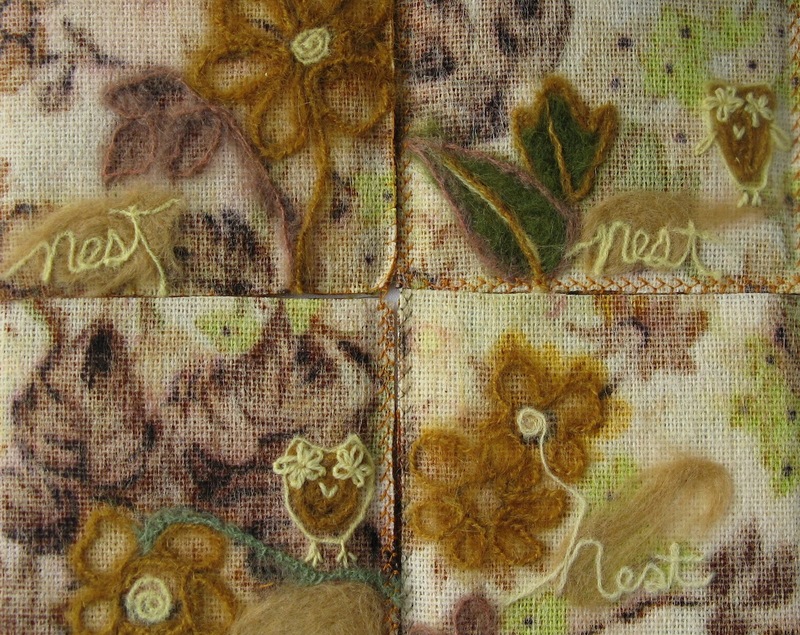 Laced in an unbound, circular, concertina design and constructed entirely of salvaged vintage materials (think daisy-eyed owls, tweed upholstery, floral wallpaper, “beat-the-winter-blahs” needlepoints), nest circles the patterns, labours, and linings at the center of our earliest enclosures.